Some 163,000 of LAUSD’s more than 600,000 students went to school on Day 2 of the United Teachers Los Angeles strike — up about 20,000 from Monday. Less than half of the students at Reseda Charter High School, in the northwest part of the Los Angeles Unified School District (LAUSD), attended school Monday, but that didn’t stop Principal Melanie Welsh from focusing on the English, math and science standards where students need some additional work. She worked with her four assistant principals — who she described as still “very close to the classroom” — to plan lessons for students while their teachers, who are members of United Teachers Los Angeles (UTLA), are on strike. The day included TED Talk-style seminar classes on topics such as student leadership, student voice and social media. And students at the district-affiliated charter spent time using the online Naviance program to research schools and career pathways that would match their strengths and interests. About 163,000 of LAUSD’s more than 600,000 students attended school on day two of the strike, according to the district — up from about 143,000 on Monday. 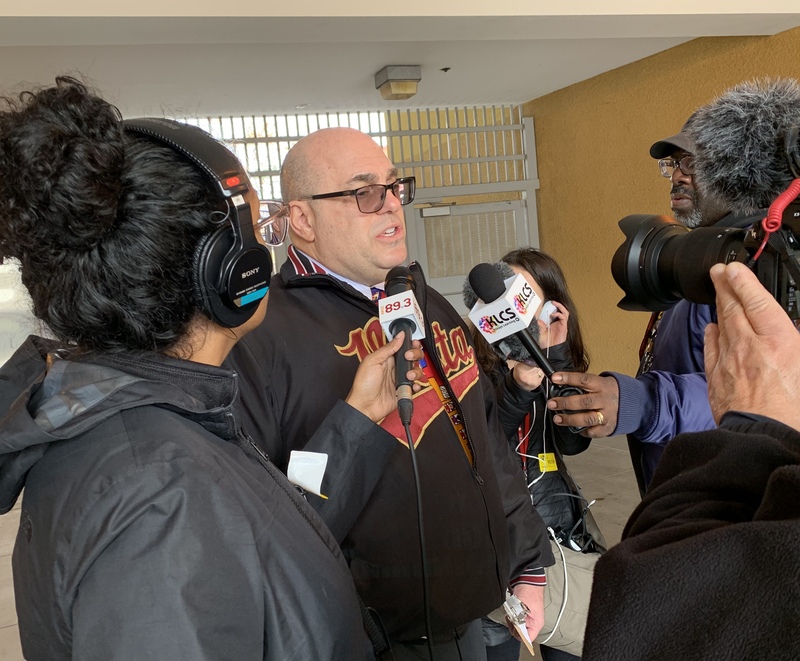 The huge drop in attendance Monday cost the district about $15 million because state funding is based on average daily attendance, LAUSD Superintendent Austin Beutner said during a Tuesday morning press briefing, calling on UTLA to direct its protests and frustration to state lawmakers. “The painful truth is we just don’t have enough money to do everything UTLA is asking,” he said. The Los Angeles County Board of Supervisors, however, did approve a motion Tuesday that will provide $10 million to the district, allowing for a school nurse at every elementary school. In an afternoon briefing, Beutner also responded to questions about whether he will attend bargaining, should it resume. UTLA has criticized him for not personally attending last week's sessions. "If it's necessary, I will be anywhere, anytime," he said. Vista Middle School Principal Joe Nardulli talks to reporters Tuesday. In addition to affecting state funding, the strike will also affect schools’ chronic absenteeism rates, which states are now responsible for tracking under the Every Student Succeeds Act. The day was structured, but certainly not in the way that students are accustomed to. 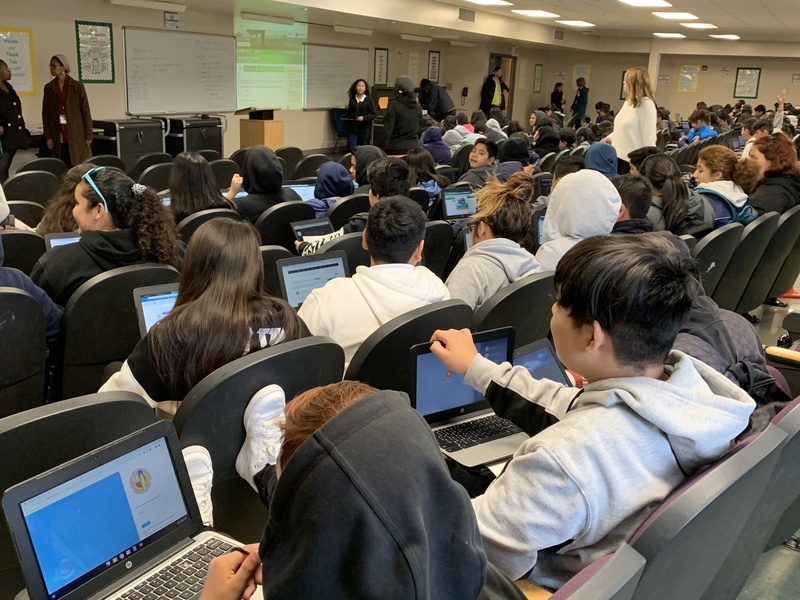 With only about 500 of the school’s 1,100 students on campus, all in attendance were gathered in one of three grade-level groups, where assistant principals rotated them through what Nardulli referred to as “grab-and-go lessons” using programs such as Khan Academy and Achieve3000. More than 170 8th-graders, for example, were in a multi-purpose room using laptops to answer questions about Martin Luther King, Jr., and all of the 7th-graders were in a lecture hall working on discussion questions related to an article on music awards. Local district administrators have also been deployed to schools. Ari Bennett, who supervises 12 schools in Local District Northeast, was at Vista on Tuesday, but will work at a different school Wednesday. Vista Middle Assistant Principal Sharlene Martinez leads a 7th grade English language arts lesson. Finally, the 6th-graders were cycling through a fitness routine. But while some played soccer in the gym, others sat watching on the bleachers. He said he didn’t mind going to school while so many other students are out because “I like to be ahead of other people.” But he’s not getting to take his elective, sports medicine, which will be the theme of a magnet program opening at the school next year. Vista Middle 7th-grader Karen Hernandez said her parents required her to come to school, but they were allowing her 10th-grade brother to march with teachers. Vista Middle 6th -graders wait their turn to play soccer Tuesday. 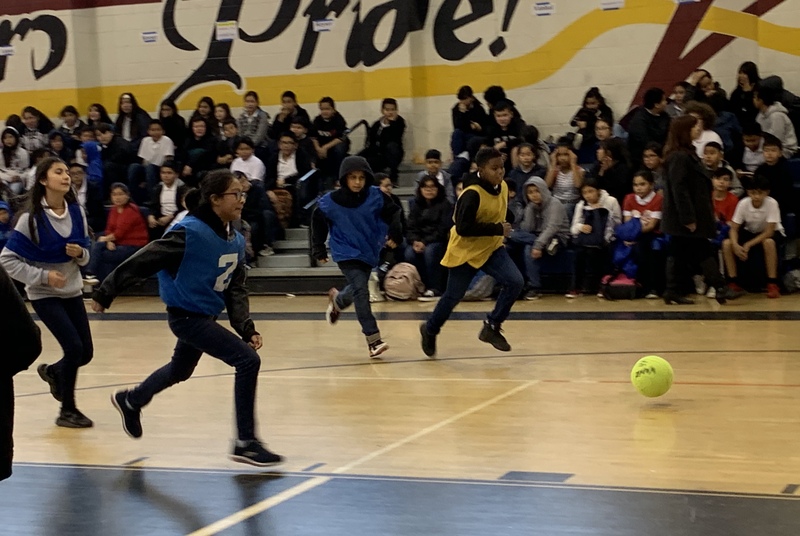 Student Voice, a nonprofit organization that encourages students to get involved in issues affecting them, also happened to be visiting LAUSD schools Tuesday and talked to some students about the strike. "I’m not attending because I support our teachers," Oshree Barak, a student at Van Nuys High School, told Student Voice. "I support them because they’ve done so much for me. Teaching is my future profession, so I need things now to help me be successful in the future. It’s not our administrators' fault or our principal’s fault." Meanwhile, striking UTLA members aimed their protest at independent charter schools Tuesday with a rally at the California Charter Schools Association (CCSA). Myrna Castrejon, president and CEO of CCSA, watched the protest from the window of the association's downtown office. “As an old community organizer, I can’t have any other reactions but to be absolutely thrilled,” she said in an interview, but reiterated Beutner’s message about directing arguments about per pupil funding to policymakers in Sacramento. The union argues that charter schools co-located on district school campuses are taking spaces such as dance studios, parent centers and other rooms away from district students, while Castrejon argued that independent charters are "not squatting for free" and that such arrangements only affect a small proportion of LAUSD schools. After two days, UTLA is celebrating a successful strike, which Arlene Inouye, a chief negotiator for the union, noted Monday evening is the first strike since last June’s Supreme Court ruling that requiring non-union members to pay agency fees is unconstitutional. “The world is watching,” UTLA President Alex Caputo-Pearl said in a Twitter briefing Tuesday night. He added that he is working with Mayor Eric Garcetti’s office to “reinitiate bargaining” and would possibly have an update on Wednesday. Calls to resume negotiations and end the strike also increased following Monday’s mass demonstration through the rainy downtown streets.